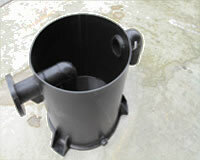 ACRIFAB are able to repair a large range of plastics due to the skills of our technicians. 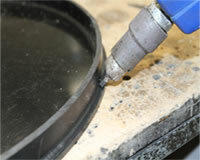 If the item needing repair is an industrial plastic, we can weld or glue as required. If the item is an acrylic or polycarbonate, and is used in a situation where it can be seen the repair is a little more difficult. If it has broken at a joint, there is usually no problem and the item can be repaired so that the remedial work is invisible. Bring your broken items in and we will see what we can do, or we can provide a quotation for a brand new fabricated item.